The book behind the major TV series - Secret City - screening on Netflix and Fox. A sticky scandal. A political jam. A prescient tale of creeping Chinese influence, stuttering US strategy and shaky Australian loyalty, by two veteran Canberra insiders. 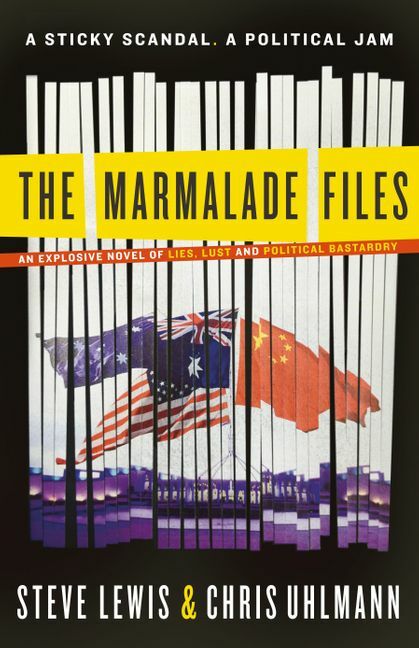 ∗the Marmalade Files are documents that allegedly exist within the bowels of Foreign Affairs & trade that have been around for a half century. When seasoned newshound Harry Dunkley is slipped a compromising photograph one frosty Canberra dawn he knows he's onto something big. In pursuit of the scoop, Dunkley must negotiate the deadly corridors of power where the minority toohey Government hangs by a thread - its stricken Foreign Minister on life support, her heart maintained by a single thought. Revenge. Rabid Rottweilers prowl in the guise of Opposition senators, union thugs wage class warfare, tV anchors simper and fawn ... and loyalty and decency have long since given way to compromise and treachery. Award-winning journalists Steve Lewis and Chris Uhlmann combine forces in this arresting novel that proves fiction is stranger than fact. 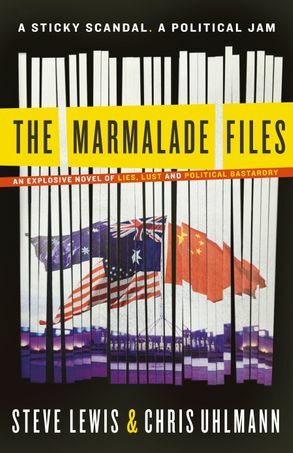 What are the Marmalade Files? Steve Lewis arrived in Canberra in late 1992 and spent the next two decades tormenting the nation's political elite. He worked as a political reporter for the Australian Financial Review, the Australian and News Corp metro papers, and is currently senior adviser at Newgate Communications. Chris Uhlmann is one of Australia's best-known political broadcasters. He won a Walkley award for broadcast interviewing in 2008 and is highly respected for for the quality of his reporting and analysis as political editor of ABC News.